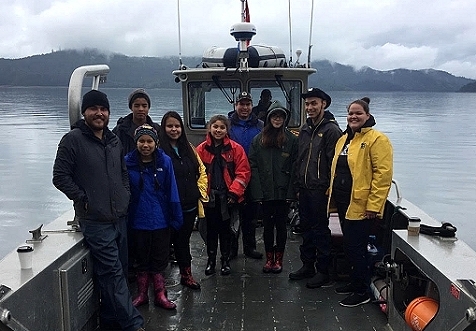 The ReEncounter artists would like to thank the collectors who made it possible for the group to support this year's projects; in particular, the second annual 'Edenshaw – ReEncounter' youth excursion in Haida Gwaii. The ReEncounter team at home in Toronto. 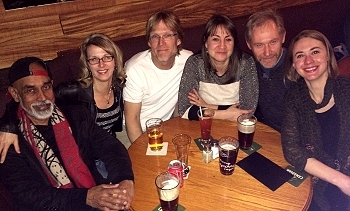 (left) Andrew Sookrah, (Gary's Partner, Lynn, sitting in for April white)Gary Landon, Sophie Lavoie(visiting from Winnipeg),W. David Ward and Anja Karisik. The group prepared to leave early on the morning of July 13th. Danny Robertson of Highlander Marine Services provided the picture above (and the account below). 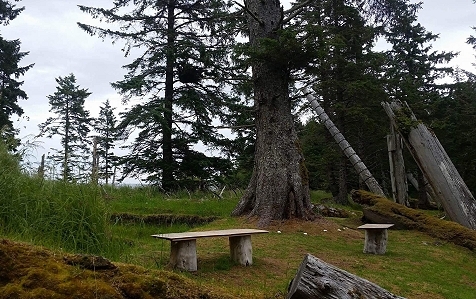 The passengers were chosen because they had never been to Gwaii Haanas. The same was true even for the adult Youth Group workers. 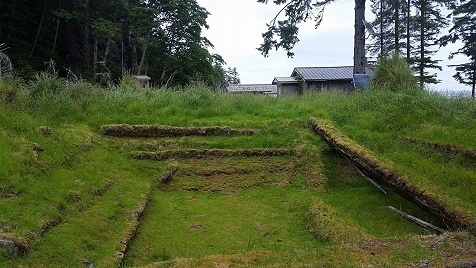 The goal of this project is to reconnect younger generations with their culture in the environment which shaped and nurtured this vibrant, creative society. 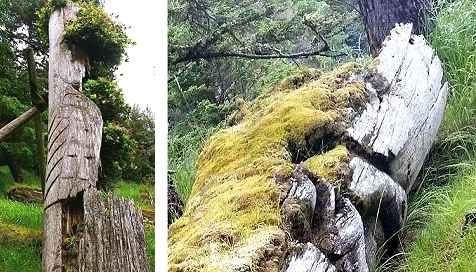 Reconnecting with nature, we believe, is just as important as preserving traditional culture; the two, in fact, are inextricably connected. 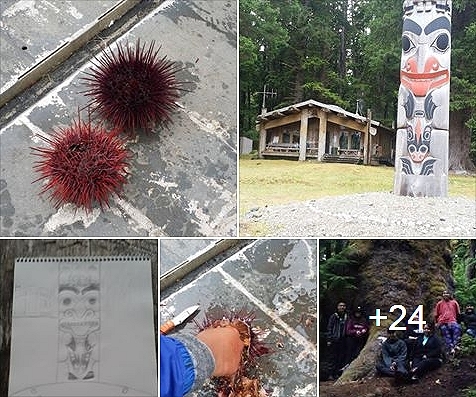 Picture posted by the participants: Old Masset Youth Program (top left) Sea Urchins (top right) The Legacy Pole and the Watchman Cabin at Windy Bay (lower left) Drawing of the Legacy Pole (middle) Sea Urchin delicacy (lower right) 1000 year old cedar & the group. Totem pole details at Skedans - Skedans photos: Annika I.